As a full-service laboratory design firm, Lab Furniture & Fume Hoods has the capability to design the lab that fits your needs. Whether your lab is commercial, scientific, research-driven, or educational, we can help realize your vision. We specialize in turnkey lab projects, including new construction and laboratory remodeling. We stress outstanding quality and exceptional service to ensure the success of our clients. 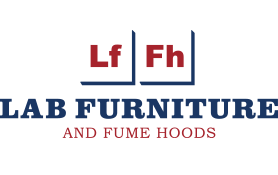 To work with LFFH for your laboratory needs, request a quote today!